All eyes are on Batman v. Superman: Dawn of Justice, as it opens in theaters across the world tonight, and expectations are as high as they possibly could be. Those expectations might grow a little more wild after tonight, as the first figures from international audiences are rolling in, and $7 million is the figure that's being thrown around at this early hour. This estimate comes from the 10 international territories that opened Batman v. Superman: Dawn of Justice on Wednesday, and according to THR, the news just keeps getting better. Apparently, Spain's opening day record was shattered with the $1.8 million it posted after Wednesday showings, beating out this year's previous superhero success story Deadpool. This is only taking into account phase 1 of the picture's staggered opening, which should find the entire world able to see the film by Friday. However, out of the 10 markets the film opened in on Wednesday, the film managed to sweep each one with a first place finish. It's not a terrible surprise that Batman v. Superman: Dawn of Justice is performing so well, considering all signs are pointing to a massive opening in the neighborhood of $160 million domestically / $350 million internationally. But to see the film live up to the hype that's been generating, at least on the financial side of the picture, is a good reinforcement to the predictions folks have been making around town. Of course, with all of the good news that's in the Warner Bros / DC Comics corner, this means that the competition is going to need to step up their game. 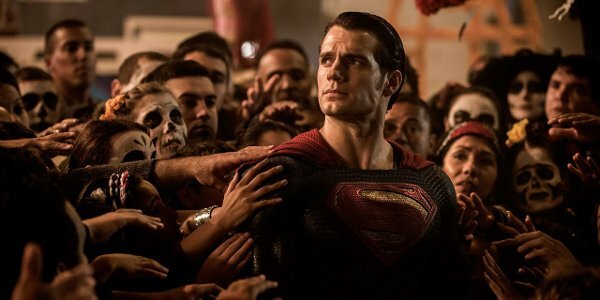 Considering that, to a certain extent, Captain America: Civil War will also be telling the story of the sociopolitical ethics involved in being a superhero, there's a chance that Batman v. Superman: Dawn of Justice may have taken a bite out of the box office profit picture that the long awaited Marvel sequel is looking to cash-in on. While it's highly unlikely, in fact almost impossible, that DC Comics' take on the subject would harm the Marvel version in any hugely significant way, there's a possibility that it may begin to weaken the facade of the Marvel Studios machine in the long run. In fact, the best case scenario for Batman v. Superman: Dawn of Justice is that it walks away with its record-breaking haul hyping fans even more for both Wonder Woman and Justice League – Part One. Of course, much like today's political system, the key is to sway the casual movie-going audience, as both Marvel and DC have their own partisans that will carry water for their side's cause over all else. And it's in that respect that Marvel has the advantage, as they've had more time to lay down the ground work for their cinematic universe to thrive. But if those casual fans are looking for more of a breath of fresh air, they may just flock to DC's ever growing universe, in search of greener pastures. For now, Batman v. Superman: Dawn of Justice's decision to make itself the first dog in the fight is paying off more than it ever would have should they have stuck with their original release date – which pitted them directly against Captain America: Civil War. How this decision plays out in the long run is yet to be seen, but if the rest of the world reacts as pleasantly as these initial territories have, it's going to be an interesting box office run indeed.